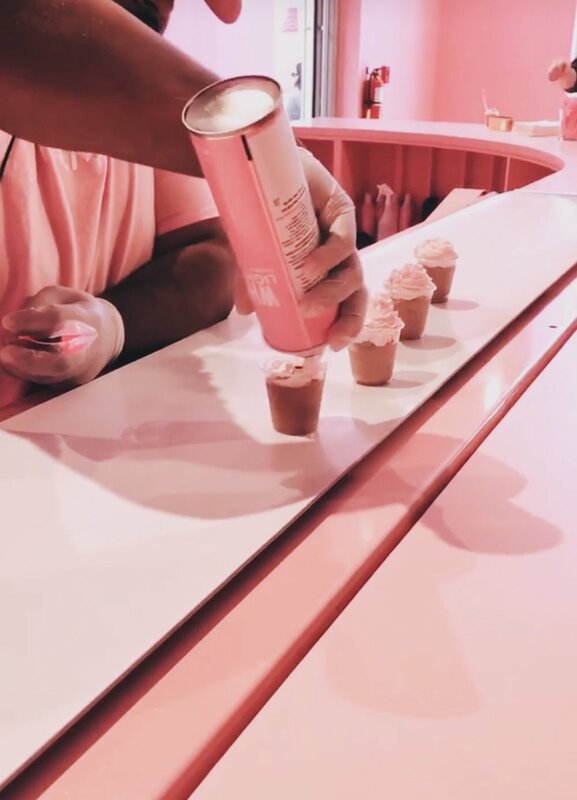 Where Sprinkle Dreams Come True: Museum of Ice Cream Miami — Beck! What the Heck?! Are you ready to get chocolate wasted? A day of sugar induced bliss begins at the Museum of Ice Cream in Miami. 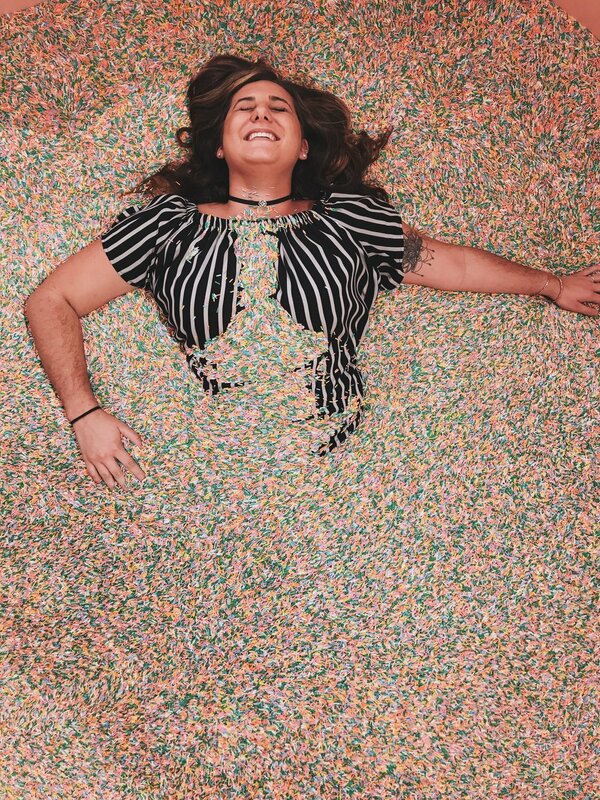 Walk through a maze of ice cream themed rooms until you reach the final room and jump into a literal pool of sprinkles. This is what dreams are made of my friends. We began in a pink room with gold glitter floors and a milkshake conveyor belt. There were high top stools with little (decoration) juke boxes at each seat, and 50’s style music playing the whole time. You can hang out in there as long as you like and you receive a chocolate milkshake with pink whipped cream and a pink cherry on top when you walk in the door. From there we went up the stairs into a room with pink ice cream cone windmills and music playing and as we went around the corner we entered a pink jungle with a cherry swing and a banana swing and we received a frozen, chocolate covered banana. In this room I made an obnoxious amount of “I came in like a wrecking ball” and Princess Consuela Banana Hammock jokes as I swung on the swings, it was probably much more fun for me than the people around me. Next we went into a room with a bunch of ice cream toppings and flavors on display where they gave us a carton of melted ice cream, and now I have a whole new attitude towards my melting ice cream. The next room we entered was a sand castle room with pink sand castle sculptures and pink kinetic sand to play with. Then we walked into a room with stackable plastic ice cream toppings and they gave you candy before you moved on to the next room. Here was the final stop before the sprinkle pool. Upon entrance you are given key lime flavored ice cream with mixed in graham crackers and plenty of room to play. There is a balcony you can see the ocean from, hula hooping, corn hole, and croquet. We looked over the balcony and ate our ice cream before getting into the sprinkle pool line. If you have an instagram account, I’m sure you have seen the sprinkle pool before, and it’s as perfect IRL as it looks on instagram. 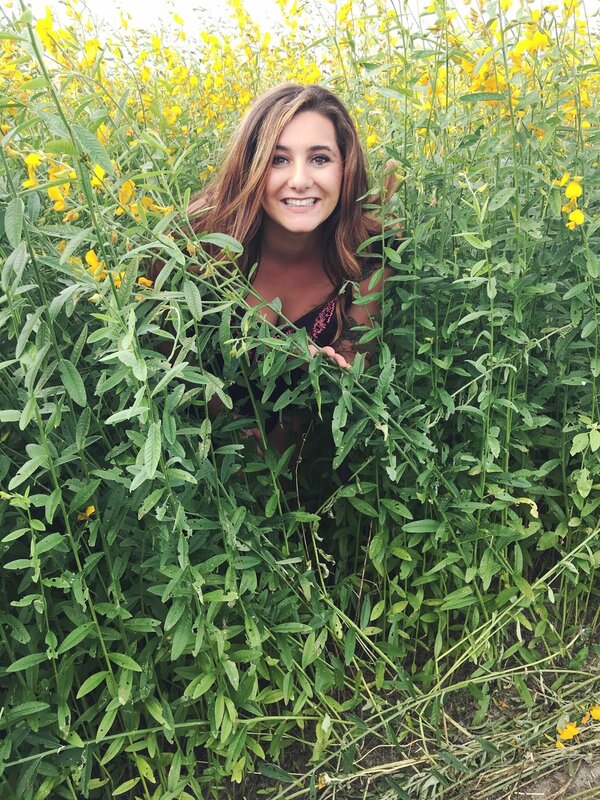 They have to limit your time because it’s the best part and everybody needs to get their turn, and I’m ok with that. The Museum of Ice Cream in Miami is a temporary event and is in Miami, San Francisco, Los Angeles, and New York. Check their website (https://www.museumoficecream.com) for when each location is open, and definitely check them out if you are near by!